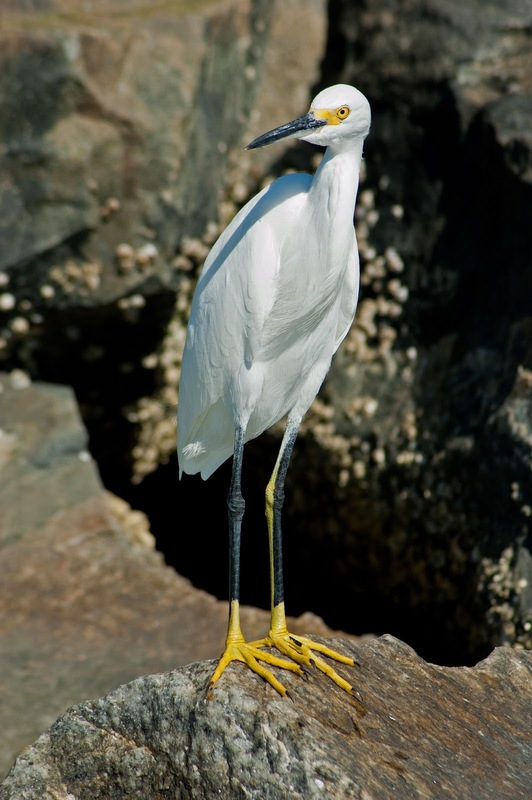 Even without their breeding plumage the Snowy Egret is a beautiful bird. I took this shot on the jetties on the south shore of the Ponce Inlet to the Halifax River. There is a park there called Smyrna Dunes and it has an extensive network of raised boardwalks that provide access to the dunes while keeping them from being destroyed by foot traffic. I can't say how impressed I am with the job the park managers have done balancing access with preservation. There are several access ramps from the park boardwalk to the beach and the inlet shoreline. If you haven't been I highly recommend it.